The American Transportation Research Institute (ATRI) launched an online driver survey to gather information from commercial drivers on how they are affected by customer detention at shipping and receiving facilities. ATRI said the feedback will help better understand how long delays impact productivity, safety, and hours-of-service compliance. The data collected will be compared to 2014 driver surveys and could reveal if the electronic logging device (ELD) mandate has changed detention impacts. The survey was launched recently at the 2018 Great American Trucking Show and is now available on the ATRI website. 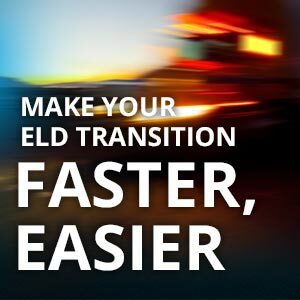 J. J. Keller® Driver DataSense® Plus with ELD Rollout Service will help you comply with the ELD mandate by expertly managing every step of the process, from end-to-end rollout services to internal change management and beyond.